Lucky number 13! Rocker Stalker’s only got a few shows left at Bar Matchless, but that doesn’t mean there’s any slowing down. 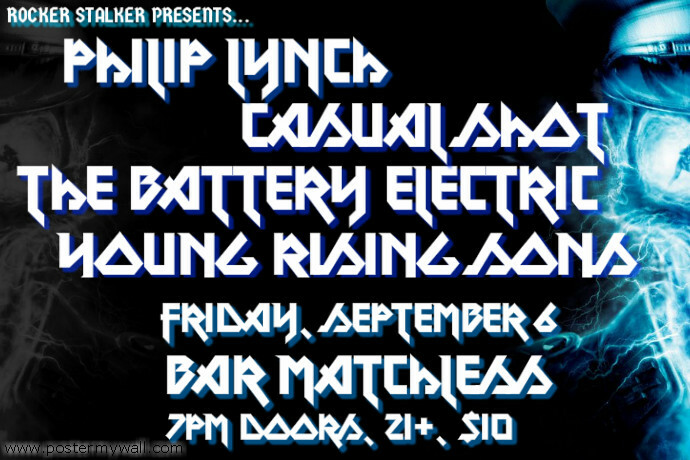 TONIGHT, September 6, come on out and rock with New Jersey artists Philip Lynch, Casual Shot, The Battery Electric, and Young Rising Sons. Per usual, it’s 21+ and $10. Doors at 7pm! RSVP here, and check out photos from the last TWO Rocker Stalker events at Matchles on 8/22 and Mercury Lounge on 8/28!